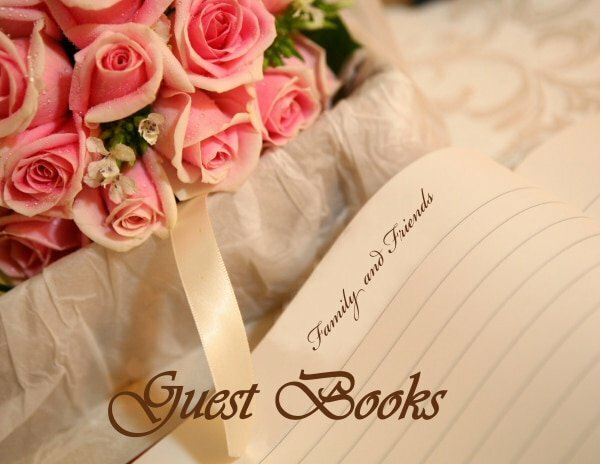 We have guestbooks for weddings, baby showers, parties and special events. These are beautiful accents for vacation homes, visitor logs or sign-in guestbooks for any business, store or hotels. All guestbooks can be personalized with hot foil stamping. 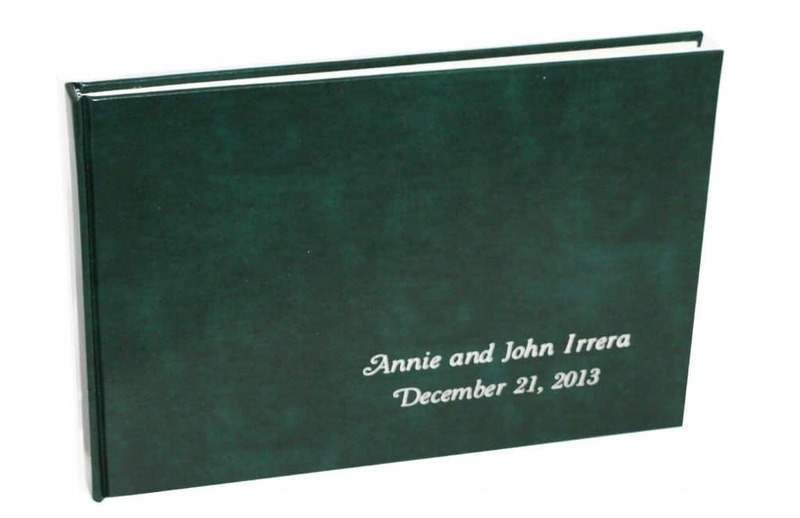 To see how we can personalize any guestbook, please see our Hot Foil Stamping page. 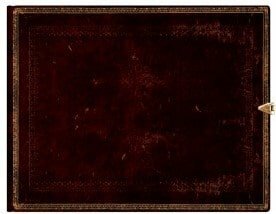 These Brown/Black Moroccan guestbooks are handsomely embellished with gold delicate foliate patterns that capture the flavor of Renaissance style binding with the look of antique leather. These guestbooks are Smythe-sewn bound, yet lay fairly flat. Acid-Free, sustainable forest paper interior with lined pages. Decorative metal clasp. Best of all, our books can be personalized with names and dates foil stamped onto the exterior cover. Our 3 Ring Binder guestbooks lay flat and accept 3 ring binder loose interior pages. Very easy to add additional pages. 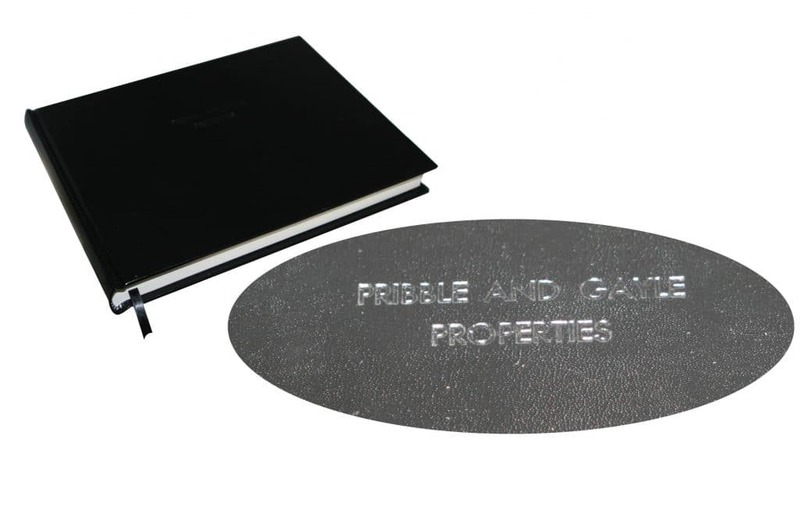 The perfect corporate guestbook that can be personalized with a company logo. 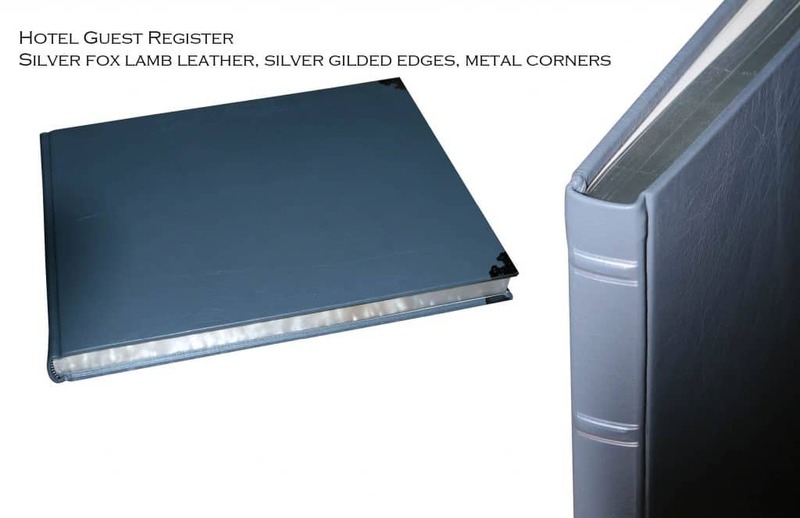 These 3Ring binders come in black bonded leather with decorative raised spine bands. The front cover is slightly padded giving it a supple feel. Perfect for hot foil stamping any name and date. Interior is custom lined with special paper. 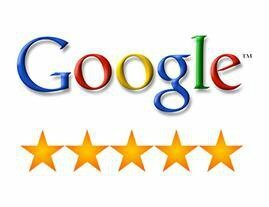 Dimensions: 11 5/8 " x 8.5"